- Upon formation, what should be the name of this State? Who would be the Premier? Who would be the two Senators who represent this State? Who would be the Senator that represents the super-State for the Arnhem Land? 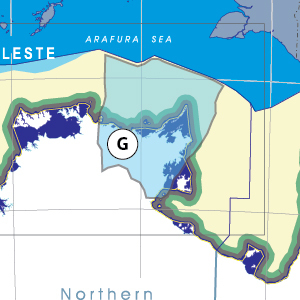 Should there be a separate super-State for the whole of the Gulf of Carpentaria, and if so, would this State be included? - Would life be enhanced if it was on a fast Ring-Rail that links the Capital City to every other Capital City in Australia? Does it have a decent airport that allows linkage to every other Capital City? Does it have a good water system? Does it have a general hospital? What is schooling like in this State? Does it have a university? it appears not to have. We think that it should. Many other interesting things! The CSIRO has regions for projecting the impact of Climate Change. See https://www.climatechangeinaustralia.gov.au/en/climate-projections/futur... This state, East Arnhem State (G), is one of the clear projections in a CSIRO cluster called "Monsoon North region". CSIRO's Monsoon North region coincides exactly with BloggerMe's K,J,H,G,F,E,D,C,AF. @BOM_NT 2:00am CST: Centre of eye of #CycloneLam crossing coast VERY SOON southeast of Milingimbi. Two or three Tropical Cyclones? "Towns in the path of gathering cyclones are routinely reported to “brace” for their arrival. "In north-east Arnhem Land, on the estimated route of tropical cyclone Lam, some people are certainly readying themselves in anticipation. Not least, those communities in Lam’s immediate path at Cape Wessel and Elcho Island are preparing for the worst damage that could be wrought by a category four storm. "Those who have lived for a long time in this part of far northern Australia approach the prospect of cyclone without surprise or too much evident fear. It is part of a rhythm, a vital cycle, that the Yolngu people have lived through for tens of thousands of years. "In some ways the anticipation of Lam, which was gathering energy and moving south-west in the Gulf of Carpentaria on Wednesday, is the tale of different peoples – the Yolngu and the non-Indigenous. "The Yolngu will tell you that before the white man came and built his missions and then his hotels and his government buildings, cyclones heading for the coast were approached with matter-of-fact caution and respect, though rarely fear. The people took themselves inland or to the dunes, where they buried themselves neck-deep in sand and waited for the storm to pass." Girl taken by a croc?